Just as a house must be supported by a strong foundation, you, as skilled rider, must be able to rely on your key foundational skills. Skills clinics help you to develop these basic, but essential, techniques. From there we move on to more intermediate and advanced skills that enable you to shred the trails or conquer the roads! Coach Ann always considers the ability level of each rider and customizes her teaching accordingly. Everyone learns differently and it is her job to analyze each athlete and guide him/her to new heights. She enlists the use of as many of your senses as possible to help you dial in your experience on the bike. And she also recognizes that although this is a learning experience, riding a bike is incredibly fun and humor is an important part of the learning process. Skills rides and clinics can be for an individual who needs more intensive attention or for a group. Group clinics can be a good method of learning, as many athletes learn from others and are willing to push themselves further when riding with others. Group skills clinics, up to 10 riders per clinic: $150 per hour, minimum of 1.5 hour sessions. These rides are organized by the group but Coach Ann facilitates the clinic/ ride. 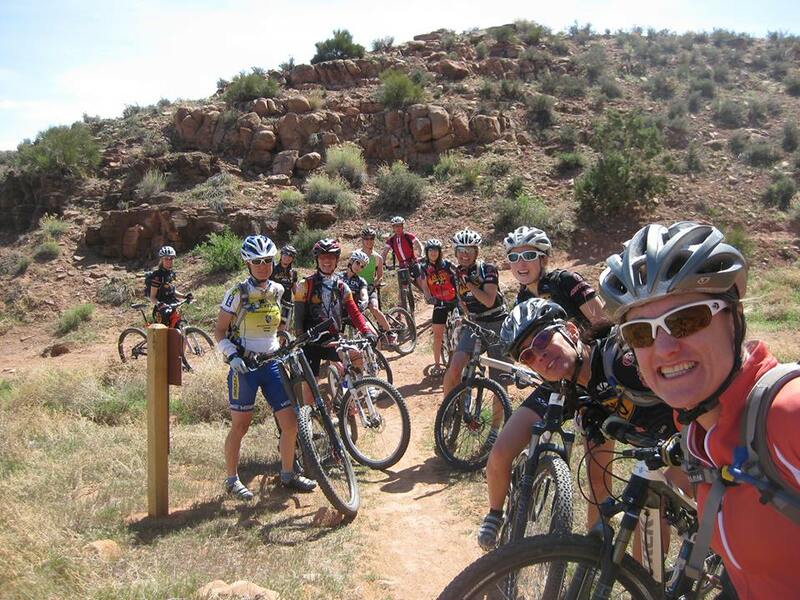 Women's MTB Clinics 2019! In Lyon's Colorado. DATES: AUG 7th, 14th, 21st and 28th with Rain day on August 29th. "I didn't have much confidence before the clinic, but I really improved on my first ride afterwards. I felt like I was "mountain biking" for the first time ever, not just riding on a mountain bike. I'm looking forward to more trails now. Thanks so much to Ann for her wonderful coaching!"